Since time immemorial, persistent red lights mounted to the rear of a car has warned all drivers that the car in front of them is applying its brakes. Now, Ford claims it has a better, more high-tech solution. Ford’s experimental “Electronic Brake Light” transmits a wireless signal to following cars, warning their drivers in a harder-to-ignore manner of what the car in front is doing. Instead of scanning the road ahead, drivers need only look at their dashboard to see if the car in front is slamming its brakes on. Cars equipped with the system can signal each other during emergency braking situations, with following cars illuminating dashboard lights to alert their drivers. So, in the end, it’s still a brake light. 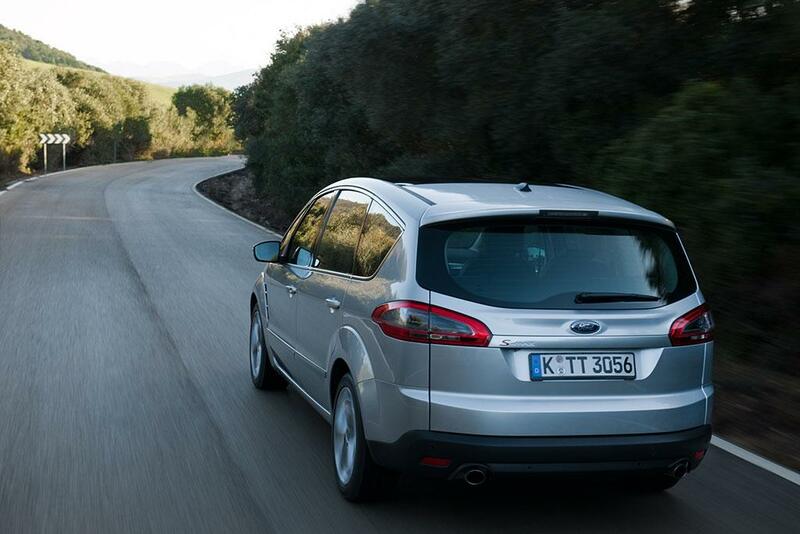 However, Ford says it could help drivers brake earlier than the old, low-tech method. For the system to work, though, all cars need to be equipped with the requisite sensors and wireless transmitters. Ford tested this tech on 20 S-Max vehicles in Frankfurt, Germany. The tests were part of Safe Intelligent Mobility – Testfield Germany, an industry-wide study of potential smart safety systems. The Electronic Brake Light is the latest example of the car industry’s experimentation with connected car or vehicle-to-vehicle (V2V) tech (here’s BMW’s system), which allows cars to “talk” to each other and the infrastructure, potentially giving drivers more information about their surroundings. “Car-to-car and car-to-infrastructure communications represent one of the next major advancements in vehicle safety,” said Paul Mascarenas, Ford’s chief technical officer and vice president, Ford Research and Innovation. Mercedes-Benz is trying to bring similar tech to the market, albeit with a broader focus. 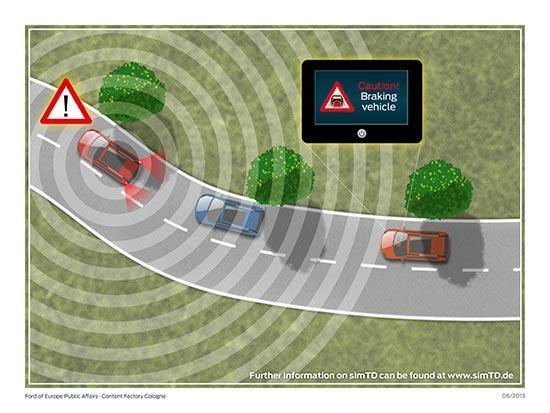 It’s “Car-to-X” system is billed as allowing cars to observe road hazards and transmit vital information to following vehicles, giving drivers advance warnings of crashes, bad weather, and other obstacles. Do you prefer your brake lights on the dashboard, or in the car in front of you? Both? Tell us in the comments.